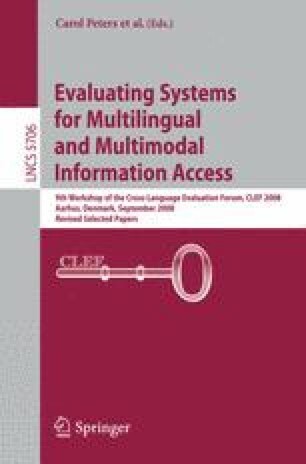 This paper describes the participation of the system AliQAn in the CLEF 2008 Spanish monolingual QA task. This time, the main goals of the current version of AliQAn were to deal with topic-related questions and to decrease the number of inexact answers. We have also explored the use of the Wikipedia corpora, which have posed some new challenges for the QA task. This paper has been partially supported by the Spanish government, project TIN-2006-15265-C06-01 and project GV06/028, and by the framework of the project QALL-ME, which is a 6th Framework Research Programme of the European Union (EU), contract number: FP6-IST-033860, by the Spanish Government through the research grant AP2007-03072, by the Generalitat Valenciana through the research grant BFPI06/182 and by the University of Comahue under the project 04/E062.